JERUSALEM (JTA) — Egyptian President Abdel-Fattah El-Sissi offered his support for the French peace initiative, saying that Egypt is prepared to “make every effort” to contribute to an Israeli-Palestinian settlement. The announcement on Tuesday came hours after French President Francois Hollande said a summit of representatives of 20 countries that had been scheduled for May 30 would be postponed because U.S. Secretary of State John Kerry cannot attend. May 30 is Memorial Day in the United States. Neither Israel nor the Palestinians were invited to the summit. Israel opposes the summit and the process, and has called instead for direct talks with the Palestinians. A peace deal would “give safety and stability to both sides. If this is achieved, we will enter a new phase that perhaps no one can imagine now,” Sissi said. 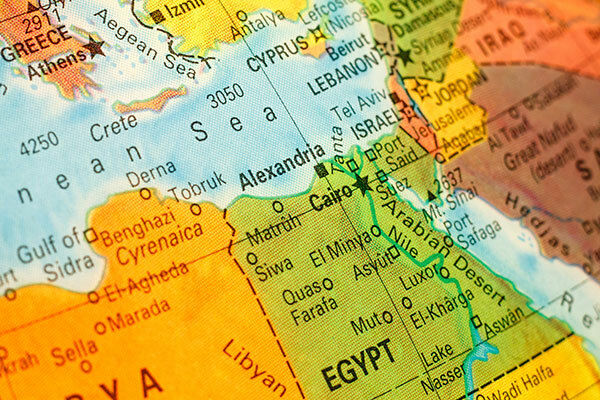 Egypt was the first Arab country to sign a peace deal with Israel, in 1979. Netanyahu has called on France, which is convening and hosting the summit, to cancel the meeting, saying it gives the Palestinians an excuse to avoid face-to-face negotiations. Netanyahu has called for direct, bilateral negotiations between Israel and the Palestinians. The summit is set to be the run-up to an international peace conference to be held in the French capital this summer that would include Israel and the Palestinian Authority. Also Tuesday, Palestinian Authority President Mahmoud Abbas said the failure to reach a peace agreement “will bring the Islamic State and the Al-Nusra Front to Israel and the West Bank,” Haaretz reported. Abbas made the remarks during a meeting in Ramallah with representatives of the left-wing Israeli political party Meretz.